He never bought a joke and he didn't read music, but he was a legendary musical giant, filled with good humor everywhere he went. "Before we go any farther, I want to lay somethin' on you; it's not heavy and it's not to imply that you don't already do it. It's just a reminder... to all of us. The next chance you get, do somethin' nice for somebody - say 'good day,' hold a door open - and don't wait around for a thank you... you don't need it. And because of you, that person will go out and do something nice for somebody, and then that person will go out and do something nice for someone else, and this whole world can wind up doing nice things for each other and we can be the ones that start it. It takes all of us working together to get things done - no one does it alone. Only One did and I'm not that strong. Let's start it - here's to love - it's still the best!" Roy Clark, the legendary "superpicker," whose many honors included music's top awards -- he was a GRAMMY, CMA, and ACM award winner, "Country Music Hall of Fame" and Grand Ole Opry member -- and co-host of the famed "Hee Haw" television series, died today at the age of 85. His death, at home in Tulsa, Oklahoma, was due to complications from pneumonia. Roy Clark gained success in a decade that otherwise defied artists in his genre. While his "Hee Haw" co-host, the late Buck Owens, rode the crest of the niche-market "Bakersfield Sound" wave, and a few, including Gram Parsons, and The Nitty Gritty Dirt Band owned one end of what was once a diverse rock-and-roll spectrum, it was Roy who attracted and won those audiences while holding the hearts of what we now call the fan bases of "trad country" and Acoustic Americana. Roy Clark pioneered the way for artists to find or create their own niches within genres long ago abandoned by the monotonously soundalike commerciality of corporate music. From the signature place claimed by John Denver to musical landscapes visited by Neil Young, to a couple dozen other famous artists we could name, fans of today's purveyors of roots-inspired acoustic instrumental brilliance all owe a debt to Roy. And publicist Westby contends, "it can be summed up in one word — sincerity." 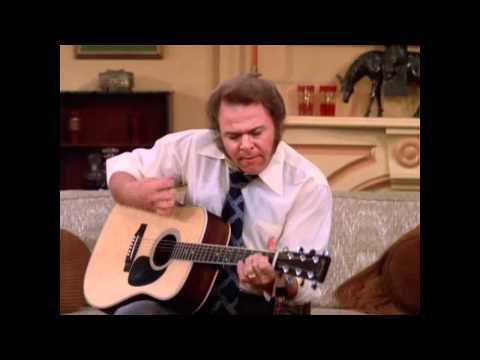 Sure, Roy Clark was one of the world’s finest multi-instrumentalists, and one of the first crossover artists to land singles on both the pop and country charts. And years later, he was the pioneer who turned Branson, Missouri, into what is arguably the live music capitol of the world -- the Ozark town today boasts more seats than Broadway. And, yes, Roy's talents are largely responsible for making "Hee Haw" the longest-running syndicated show in television history. The reruns currently air multiple times every week on RFD-TV. But the bottom line in understanding Roy Clark was the honest warmth he gave to his audiences. Some might observe that family-friendly entertainer Roy Clark can be credited with playing the first recurring gay character on television. That seems worthy of gasps and certain disbelief in the conservative world of country music. But it's a fact. Years before Billy Crystal's character on "Soap," Roy did almost weekly sketches as the front-desk proprietor of the "Empty Arms Hotel" on "Hew Haw." That flamboyant character was usually the foil for the written-to-be-dumb remarks or attitudes portrayed by the others in scenes that ranged from cornpone to enduringly clever. For a man who didn’t taste major success until he was 30, the key was not some grand plan, but rather taking everything in its own time. In fact, that’s what Clark titled his autobiography, My Life — In Spite of Myself! written with Marc Elliot (Simon & Shuster, 1994). Roy's book reminded many that there is much more to Roy Clark than fast fingers and a quick wit. That he was raised in Washington, D.C., often surprises people. Born Roy Linwood Clark on April 15, 1933 in Meherrin, Virginia, his family moved to D.C. when he was a youngster. His father played in a square dance band. He also took young Roy to free concerts that are still ubiquitous in the Nation's Capital. For Roy and his musician dad, that included performances presented by the National Symphony and various military bands. Roy remembered, "I was subjected to different kinds of music before I ever played. Dad said, 'Never turn your ear off to music until your heart hears it -- because then you might hear something you like.'" Sort of a prototype mantra for what so many Folk-Americana musicians tell big labels and corporate radio syndicates today. Beginning on banjo and mandolin, Roy was one of those people "born with the music already in them." His first guitar, a Sears Silvertone, came as a Christmas present when he was 14. That same year, 1947, he made his first TV appearance on a medium that was then brand-new. He was 15 when he earned $2 for his first paid performance, with his dad's band. In the fertile, diverse musical soil of cosmopolitan D.C., he began playing bars and dives on Friday and Saturday nights until he was playing every night and skipping school. Eventually he dropped-out at the tender age of 15, something that rarely leads to any kind of success. "Music was my salvation, the thing I loved most and did best. Whatever was fun, I'd go do that," wrote Roy. The difference was his obvious talent and instrumental prowess, along with that warm charisma. The guitar wizard soon went on tour with country legends, including Hank Williams and Grandpa Jones. After winning a national banjo competition in 1950, he was invited to perform at the Grand Ole Opry, which led to shows with Red Foley and Ernest Tubb. Yet he'd always return to D.C. to play not only country, but jazz, pop, and early rock 'n' roll. On that last point, he's prominently featured in the recent book, "Capitol Rock." In D.C., he could and did play with black groups and white groups in a time when no one did, and it was considered scandalous. For Roy, that meant he could play fast, and even play guitar with his feet. In 1954, he joined Jimmy Dean & The Texas Wildcats, appearing in clubs and on radio and TV, and even backing up Elvis Presley. But in 1960, he was 27 and still scrambling. An invitation to open for Wanda Jackson at then internationally renowned Golden Nugget in Las Vegas proved to be his big break. That led to his own tour. He was on the road for 345 straight nights at one stretch. When he returned to Vegas in 1962, he came back as a headliner and recording star, with his debut album, The Lightning Fingers Of Roy Clark. The next year, 1963, he had his first hit, The Tips of My Fingers, a country song that featured an orchestra and string section. "We didn't call it crossover then but I guess that's what it was," Roy later observed. He continued, "We didn't aim for that, because if you aim for both sides you miss them both. But we just wanted to be believable." There's that trademark sincerity and authenticity again. It was there in the vinyl grooves of that record. And it came through even better on TV. His first appearances on the small screen were in 1963, on The Tonight Show and American Bandstand. Both showcased his easygoing attitude and rural sense of humor. That remained a key to his showmanship. "Humor is a blessing to me. My earliest recollections are of looking at something and seeing the lighter side. But it's always spontaneous. I couldn't write a comedy skit for someone else," Roy said. 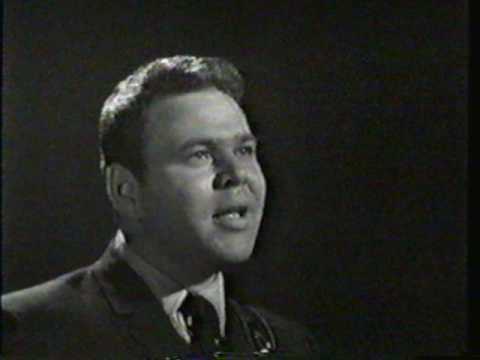 Throughout the '60s, Roy Clark recorded several albums, toured constantly, and appeared on all the TV variety shows of the time, from Carson to Mike Douglas to Flip Wilson. "I was the token bumpkin," he joked, continuing, "It became, 'Let's get that Clark guy. He's easy to get along with.'" Then came Hee Haw. Conceived as a countrified Laugh-In with music, and shot in Nashville, Hee Haw premiered in 1969. Co-starring Clark and Buck Owens, it was an immediate hit. Though CBS canceled the show after two-and-a-half years -- despite its ranking in the Top 20 -- the series immediately found a home in syndication, still producing new episodes. It remained there until 1992. "I long ago realized it was not a figure of speech when people come up to me and say they grew up watching me since they were 'that big'," indicating some period of early childhood, noted Roy. In addition, his 12-string guitar rendition of Malaguena is considered a classic and, in 1982, he won a GRAMMY for "Best Country Instrumental Performance" for Alabama Jubilee. A consummate musician, no matter the genre, he co-starred with Petula Clark at Caesar's Palace, became the first country artist to headline at the Montreux International Jazz Festival, and appeared in London on The Tom Jones Show." Clark was amazed when guitarists from England credited his BBC specials and performances on variety TV shows with the likes of the Jackson 5 for inspiring them to play. But Roy always said the highlight of his career was a pioneering, sold-out 1976 tour of the then-Soviet Union: "Even though they didn't know the words, there were tears in their eyes when I played 'Yesterday.' ['Yesterday, When I Was Young'.] Folks there said we wouldn't realize in our lifetime the good we'd accomplished, just because of our pickin' around." When he returned in 1988 to now-Russia, Clark was hailed as a hero. Though he always said he "never bought a joke and doesn't read music," as key self-descriptions, he was proud of both. • a star on the "Hollywood Walk of Fame." • the Academy of Country Music's "Pioneer Award"
• membership in the "Gibson (Guitar) Hall of Fame"
• the first country artist inducted into the Las Vegas "Entertainers Hall of Fame"
Roy’s many good deeds on behalf of his fellow man led to him receiving the 1999 "Minnie Pearl Humanitarian of the Year Award" from TNN’s "Music City News Awards." In October, 2000, he was inducted into the "Oklahoma Music Hall of Fame," and until his death, he was actively involved with school children who attend the Roy Clark Elementary School in Tulsa, Okla. When we saw him perform at a Huck Finn Jubilee bluegrass festival when it was still on the narrows of the Mojave River in the California Desert, his joy of making music with young people took sudden center stage. Roy's headlining set was preceded by elementary school musicians from a program sponsored by a Southern California bluegrass program in cooperation with a local school district. The kids segment included both a group performance and an exhibition by the fifth and sixth grade top students. Roy was spotted backstage chatting with the top 6th grade fiddlers. Then, in the midst of his own set, he brought the kid onstage, to perform a duet. Then, he gave the kid a solo. Obvious lifetime memory for one 6th grader, and everyone there must wonder where that kid is now. It was rather risky for a star like Roy. He didn't really know what the kid could do, beyond one well-practiced exhibition piece. Not that it could have damaged Roy's reputation had it not gone well. But it was going to be remembered, no matter what. Still, by all accounts, that was Roy. From his home in Tulsa, where he moved in 1974 with Barbara, his wife of 61 years, Clark continued to tour extensively. For him — and for his legion of loyal fans — live performance was what it was all about. “Soon as you hit the edge of the stage and see people smiling and know they’re there to hear you, it’s time to have fun. I keep a band of great young people around me, and we’re not musically restrained. It’s not about ‘let’s do it correct’ but ‘let’s do it right,’” he said of his lifelong approach to taking the stage. With responding smiles, audiences continued to thank Roy for being there, too. Roy was preceded in death by his beloved grandson Elijah Clark who passed at the age of fourteen on September 24, 2018. Roy is survived by Barbara, his wife of sixty-one years, his sons Roy Clark II and wife Karen, Dr. Michael Meyer and wife Robin, Terry Lee Meyer, Susan Mosier and Diane Stewart, and his grandchildren: Brittany Meyer, Michael Meyer, Caleb Clark, Josiah Clark, and his sister, Susan Coryell. The Acoustic Americana Music Guide offers our condolences and sympathy to all his loved ones. The Guide expresses our thanks to Jeremy Westby, Sandy Brokaw, and 2911 Media for information and quotes used in this story.